Nadia’s House Cleaning of Boston, Massachusetts is a full service cleaning company, supplying a plethora of services to commercial businesses and residential homes locally and in surrounding areas. We are completely licensed and insured to provide our professional expertise and services in the community at affordable rates. We are committed to making our customers our first priority, which is why with Nadia’s House Cleaning you can expect grand execution with all services rendered with an application of friendly customer service, traditional values, and work ethics. At Nadia’s House Cleaning, our technicians are more than qualified to perform the tasks associated with our services; having advanced training, experience in the field, and remarkable skills. To ensure our valued customers receive nothing less than the ultimate level clean, our experts utilize premium quality products and equipment available only to licensed professionals. Nadia’s House Cleaning offers spring cleaning services to our commercial and residential customers in the Greater Boston, Massachusetts area. 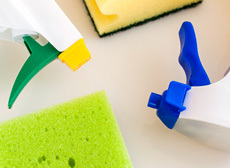 Spring cleaning is an involved job that should be done annually. For those that do not have the time, physical capability, or simply the ambition, Nadia’s House Cleaning can spring clean your home efficiently. 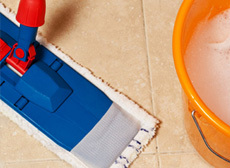 The basic spring cleaning Nadia’s House Cleaning performs consists of the following; but we can create customized spring cleaning services for your convenience. 1)	Clean out the coat closet; sorting through the contents, disposing of the junk and donating the unwanted items. Before putting the items back in the closet in an organized manner, the shelves, floors, and walls are deeply cleaned. 2)	Dust off and polish the light fixtures and ceiling fans, as well as any vents. 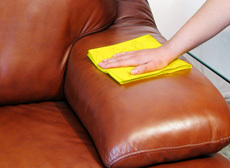 3)	Furnishing are cleaned and treated accordingly; including upholstery, wood, and iron work. 4)	Doors, trimming, baseboards, crown molding, and walls are wiped down and spot cleaned. 5)	Hardware, knobs, light switches, and so on are cleaned and polished. 6)	Any mats or rugs are deep cleaned. 7)	Floors are vacuumed, swept, and mopped based on the surfaced materials; hardwood, carpet, vinyl, or tile and grout. 1)	Ceiling fans, light fixtures, and vents are cleaned and polished. 2)	Walls, doors, trim, baseboards, crown molding, outlets and light switches are properly dusted and wiped free of spots. Wood materials are polished. 3)	Furniture is cleaned and treated accordingly. 4)	Closets are cleared; tossing the junk, donating the old, and organizing the remaining following the walls and floor cleaning. 5)	Bed is moved to clean under and behind it; walls, baseboards, and flooring. 6)	Curtains, blinds, and mattresses are cleaned and treated. 7)	Floors are cleaned and treated accordingly. 1)	Remove contents in medicine cabinets, cupboards and drawers; dispose of expired products. 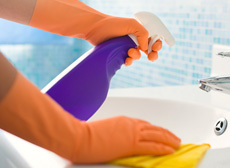 Wipe down exterior and interior, and replace toiletries and medication in an organized manner. 2)	Clean shower and/or tub, including the drain, apply was or other such treatment if necessary. 3)	Toilets are thoroughly cleaned inside out. 4)	Sinks, including drains and countertops are properly cleaned and treated. 5)	All plumbing and light fixtures are cleaned and polished. 6)	Clean windows, screens, blinds and sills. 7)	Wash down walls, trim, baseboards, crown molding, switch plates, and outlet covers. 9)	Sweep and mop floors. Spring Cleaning & Sanitizing Kitchen & Dining Room . 1)	Windows, trim, screens, curtains and blinds are cleaned. 2)	Drawers and cabinets are completely cleared out; discarding the worn kitchenware and expired food. Exterior and interior are properly cleaned, polished, hardware shined. Organized replacement of items follows the cleaning. 3)	Cutting board and electric can openers are sanitized. 4)	All appliances are cleaned inside and out. 5)	Pantry is completely cleared out; expired food is thrown out. Shelves, walls and floors are all cleaned. 6)	Sinks, drains and countertops are completely cleaned and sanitized. 7)	Walls, trim, baseboards, crown molding, light switch plates and outlet covers are all cleaned and polished. 8)	Vents, light fixtures and ceiling fans are dusted and spot cleaned. 9)	Sweep and scrub floors. 1)	Light fixtures, vents, and ceiling fans are cleaned. 2)	Washing of walls, trim, baseboards, crown molding, light switch plates, and outlet covers, followed by wood polishing. 3)	Windows, screens, curtains, blinds, and sills are cleaned from top to bottom. 4)	Furniture is cleaned; upholstery and treatment of iron and wood furniture accordingly. 5)	Dust all shelves and décor, and polish as necessary. 6)	Lamps and lamp shades are cleared of dust and polished. 7)	Television screen and electronic devices are wiped free from dust. Contact Nadia’s House Cleaning today to get started on the spring cleaning in your Boston, Massachusetts’ home!